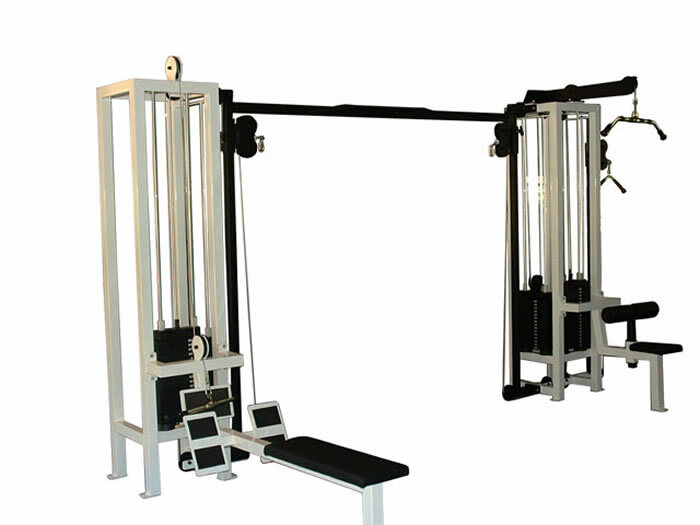 GymRatZ Gym Equipment is designed for professional use in health clubs, fitness centres, and the very toughest of gyms. The equipments ability to withstand constant daily use is second to none - we wouldn't put our name to anything else! The GR-4 Full Commercial Multi-Station is built from heavy gauge steel and features extra thick padding (2") and durable leather upholstery. High/ Low Pulley Station (far side). The GR4 Multi-Cable provides a heavy duty full commercial training facility at a cost effective price and personalised to your exact requirements. Don't compromise your gyms quality and exercise options, due to space and budget, when you can purchase the best equipment available!! 25% OFF COMMERCIAL MATTING when ordered with this product. Return to Multigym's / Multistations by GymRatZ - SALE!